Some further detailed discussions of various ecosystem types found in the Philippines follow below. Forests are inherently diverse ecosystems, as conditions found within them are ideal for supporting symbiotic ecological relationships. This is especially so in the Philippines, where the tropical climate allows forests to receive, absorb, and redistribute rainwater to support life not only within themselves, but also to other nearby and adjacent ecosystems where the water reserves are released. Primarily, forests serve as the country’s most important source of water, thus allowing all other forms of natural resources to flourish and become productive. Forest ecosystems naturally provide clean air and food in the process. In addition, these resources also contribute through power (electricity) generation, and by providing protection as a raw material for houses and other forms of shelter. They also offer indirect benefits, such as by functioning as buffer zones from storms and prevention of soil erosion. Forests support human livelihood, although proper management and conscious conservation efforts are emphatically required in this sense. The problem of forest degradation and destruction continues due to the prevalence of logging practices both legal and otherwise, mining, and land conversion. This, despite more proactive measures being undertaken to restore them at present. While initiatives such as the DENR’s National Greening Program are in place and already being executed, forests still suffer due to generally poor state-level policy-making that support activities such as logging and mining for commercial gain. Another prominent type of ecosystem that naturally occurs in the Philippines, given the multitude of coastal areas of this country, is the mangrove ecosystem. Mangroves are medium-size and highly tolerant flora that can survive in brackish water (water which is more saline than freshwater, but not as much as seawater). The Philippines boasts having more than half of the world’s 70 mangrove species. People draw benefits from mangrove systems as they serve as breeding and feeding grounds for local terrestrial and aquatic species, while also being “stop-over sites” for migratory species. They also contribute to ecological balance by stabilizing and minimizing sedimentation and siltation in coral reefs, while also facilitating the increase of land area by way of accumulated soil and debris. While mangrove ecosystems are already dynamic and unstable environments due to their location, they are also commonly threatened by human interaction due to the utilization and consumption of coastal communities. Agricultural ecosystems are artificial ecosystems created in the process of developing land and coastal/aquatic areas for farming, animal husbandry, and fishing. Since agriculture evolved to bring about gains for human societies, it follows that people have continued to draw numerous benefits from these types of ecosystems. It has served as people’s primary source of sustenance and livelihood, as well as other basic needs, for generations. 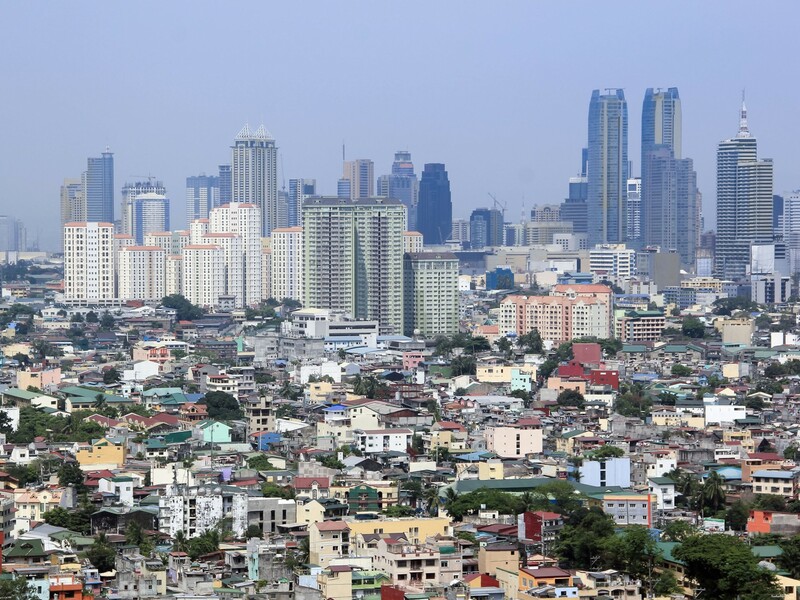 In the case of the Philippines, it is historically one of the primary economic drivers for the country. There are approximately 1,210 local agricultural plant species here, over a third of which has food value. Agriculture also supports other cash crops for feed, medicinal/herbal, ornamental, and industrial values. Rice, corn, and coconut are the main types of produce obtained through agriculture in the Philippines. It can be said that agricultural ecosystems are both threatened and serve as a threat to other ecosystems as well, despite their unquestionable socio-economic importance. On one hand, continuous urban development for residential and commercial land use is encroaching on agricultural lands. 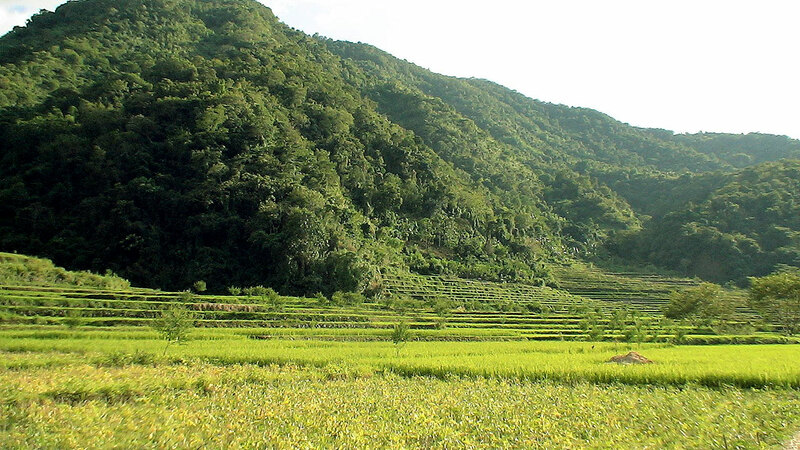 In turn, farmers are forced to move upland, harming forest ecosystems in the process. Another important issue that needs to be addressed in matters regarding agriculture is the debate involving high value hybrid crops and genetically modified organisms that was sparked by the so-called Green Revolution of the 1960s. While these applications of modern biotechnology are developed with the benefit of humankind in mind (i.e. increasing food supply and ensuring world food security), the environmental and human health risks involved in the propagation of such crops have yet to be adequately studied and are thus still much-debated in the overall biodiversity protection and conservation campaign. Marginal ecosystems are those that are located between two ecosystems. These can be either natural or artificial, such as areas adapted or reappropriated for agricultural use. Marginal lands now comprise about 70% (over 11 million hectares) of declared forest area in the Philippines. Urban ecosystems are the product of modernized, industrialized human society. These function as the base of human settlements, as well as economic development. They are a testament to the economic, academic, and technological progress that humankind has achieved through generations. That said, they are still rapidly expanding, often to the detriment of natural ecosystems. Although urban ecosystems continue to grow,in terms of geographic and demographic sizes alike, their carrying capacities remain limited. The draw of “greener pastures” in urban locales tend to result in over-population that strains limited resources, making these ecosystems increasingly impractical and hazardous to the health and well-being of its inhabitants. 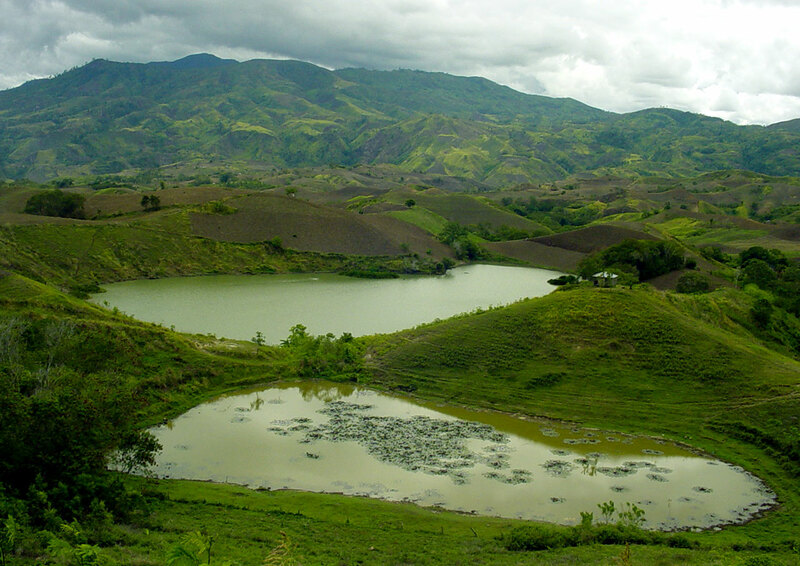 Whereas forests are a distinctive feature of the Philippines’s terrestrial biodiversity, coral reefs give the country a likewise sterling reputation when it comes to aquatic ecosystems. Owning 5% of the world’s total 617,000 sq km of coral reefs, the Philippines is part of the world’s “Coral Triangle,” joining Indonesia, Malaysia, Papua New Guinea, the Solomon Islands, and Timor-Leste as countries that bear the most extensive coral reef ecosystems in the world. In fact, Verde island in Batangas has been noted to be “the center of the center” of marine biodiversity in the world. Coral reefs are comprised of massive deposits of calcium carbonate that take centuries to produce and develop. Because of such a long process, coral reefs are very delicate ecosystems and are due extensive protective measures. A recent example of damage occurred at the Tubbataha Reef in the Sulu Sea in January 2013, where approximately 1,000 square meters of coral reef was damaged. Coral reef damage is a serious concern. As of 2006, only 5% of Philippine coral reefs are in excellent condition, while 32% are already severely damaged (Haribon, 2006). The World Resources Institute more recently reports that 85% of the reefs in the Coral Triangle as a whole are threatened (WRI, 2013), shadowing the global average which stands at 60%. Freshwater ecosystems occur in in-land bodies of water and may either be flowing, standing, or man-made. Rivers and streams, lakes and reservoirs, and artificial fishponds are examples that fall into the three respective categories. All of these are distinguished by low-salinity water that flow from the natural rainwater catch basins created by forests. Freshwater ecosystems serve many practical benefits to people, including being a cheap and convenient source of water for domestic and industrial use, a natural waste disposal system, and a reservoir for the natural water cycle. Freshwater bodies also can serve as transport routes. This type of ecosystem is commonly put in peril by the need for draining to serve the purposes of fisheries and agriculture. Seagrass ecosystems comprise of aquatic flowering plants that can live in seawater. These types of ecosystems occur in shallow water environments. Primarily, seagrass supports biodiversity by functioning as a food source for grazing and detritus-feeding creatures. They can also be a nursery for young fish, crustaceans, and other reef organisms. In addition, seagrass is able to recycle nutrients from sediments back to the open sea, while also functioning to stabilize sediments, ensuring the integrity of the seabed. As such, seagrass also functions as a buffer against wave or storm-related damage to its immediate vicinity, protecting the life forms that make it their natural habitat. Another type of aquatic/marine ecosystem is the soft bottom ecosystem, which is an area where sediments have accumulated. Organic matter, coming from plants and animals and other sources of nutrients, settle at the bottom and become food for deposit-feeders, bottom-dwelling fish, as well as for invertebrates, decomposers, and microbial life forms. Soft bottom ecosystems vary based on the size and grain of the sediments. Same with majority of marine ecosystems in the Philippines, unsustainable fishing and aquaculture practices are the main threats to seagrass and soft-bottom ecosystems. Worse yet, with majority of the attention for conservation efforts being concentrated on terrestrial, wetland, and coral reef ecosystems, these equally important and diversity-rich ecosystems tend to be overlooked. Certain qualifications of species can be used to assess the conditions of natural ecosystems, although this varies based on the scope or scale of the study (i.e. whether local, national, or global scale, or whether in land-based or water-based ecosystems). Keystone Species - The type on which many others depend for biological needs such as food and shelter. Sensitive Species - The type which exhibit the tendency to disappear from a site or habitat when subjected to external disturbances (i.e. they have a narrow range of tolerance to environmental changes). Tolerant Species - The opposite of sensitive species, these can withstand changes to their environment and are thus useful for studying the impacts and consequences of the said changes on the species itself and the ecosystem within which it exists. Endemic Species - In light of the exclusive nature of endemic species within a certain area, they also serve well as indicators of habitat and ecosystem health. Umbrella Species - This type of species covers those with a large habitat or range, therefore exerting a major ecological influence on the community. Flagship Species - This qualification covers species which have caught the sympathy and support of the public, thus serving a role as an aspirational icon for ecological conservation. 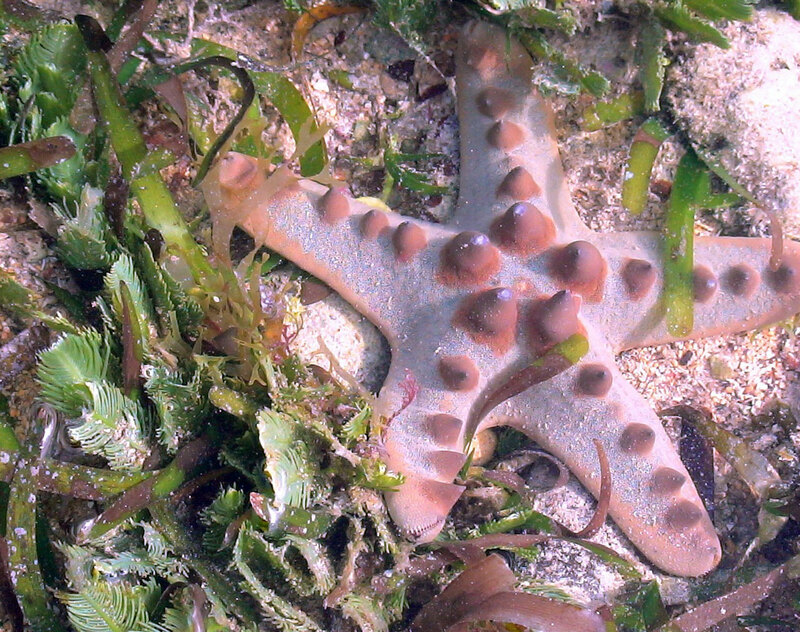 Charismatic Species - Like flagship species, charismatic species are well known to the public and are regarded as symbols of the conservation agenda. The reason for their popularity is their distinctive features, such as size, colorful appearance, and the like. 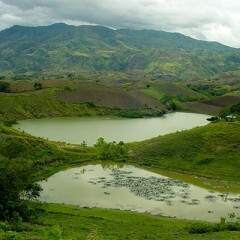 Philippine Tropical Forest Conservation Foundation (PTFCF). Undated. Fast Facts. Last accessed on February 13, 2014, http://www.ptfcf.org.